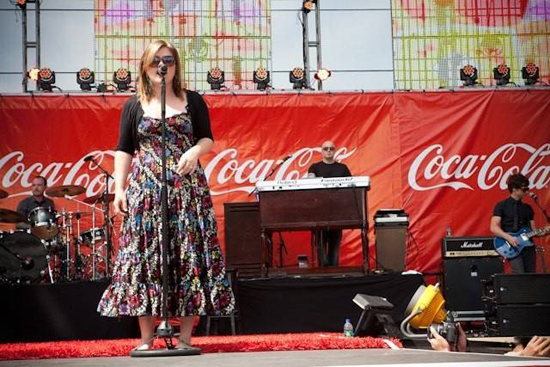 This past Saturday, Coca-Cola celebrated its 125th anniversary with a concert in Atlanta's Centennial Olympic Park, featuring Ne-Yo, Natasha Bedingfield and, yes, Miss Kelly Clarkson. Instead of posting all of the videos from Kelly's performance, I'll just post the song that skyrocketed her into super stardom and never fails to make me want to dance around like a fool. I'm also dedicating this to Please Welcome Your Judges guest blogger (and birthday boy) Jason Myers, Kelly's #1 fan.